What is the Discovery Flight? 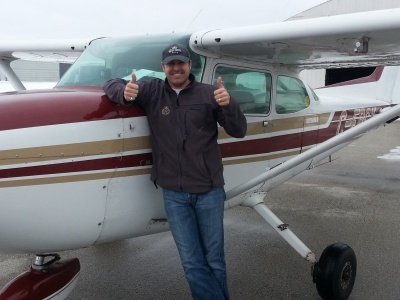 The Discovery flight is like an introduction to becoming a pilot or take flying lesson, it is the first flight lesson that you undertake during your flight training. 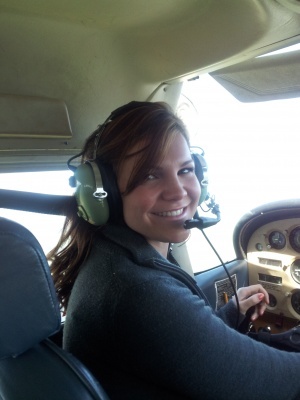 It is typically a 30 minute flight where you get a chance to see whether or not becoming a pilot is the right choice for you. It allows you to experience the enjoyment that aviation has to offer both in feel and in sights that you will take it. What is covered during the Flight? The flight is usually broken up into some ground time, where you will discuss the handling of the controls, how the controls react with the air to make the aircraft move, how to handle the aircraft both on the ground and in the air. This ground session runs anywhere from 15 to 30 minutes prior to the flight. 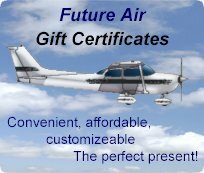 For only $119.00 the Future Air Discovery flight will put you in the pilot seat for 20 to 25 minutes in which you will handle the controls and perform a series of simple maneuvers. There is no homework or expectations of you for this exercise. If you have some aviation knowledge great, if not, that’s what we are here for. Will I get a chance to handle the aircraft during the flight? Yes, you will get a chance to maneuver the aircraft both on the ground using your feet to steer the aircraft and in the air. Our insurance company still prefers that the instructor perform the take-off and landing. Does the Discovery flight count towards earning my pilots licence? Yes, the Discovery flight absolutely counts towards both the Recreational Pilot Permit and the Private Pilot licence. It is an essential component to the training. One thing to keep in mind is that Transport Canada mandates that all flight training is performed with an instructor and student only. For this reason we don’t recommend that you bring passengers up with you. If after your discovery flying lesson you decide you want to pursue your pilot’s license simply tell your instructor and they will guide you through the process. Typically this involves filling out the registration form, purchasing some supplies and booking your next lesson. At some point you will need to choose between the Recreational Pilot permit and the Private Pilot licence. Understandably you may have some reservations and questions. Our staff are more than happy to sit with you to go over whatever questions you may have. There is no commitment to sign up on the spot either. We encourage you to go home and review the material, discuss it with your loved ones and call us if you still have questions, we are always here when and if you decide.